Ah, wine. I love wine. Who doesn’t love a great wine? If you love wine like me and are interested in learning more about a grape you probably haven’t heard of, well listen up! When most people think of wines from Argentina, immediately they think of the lovely Malbec. But Argentina has more to offer than just this red grape. 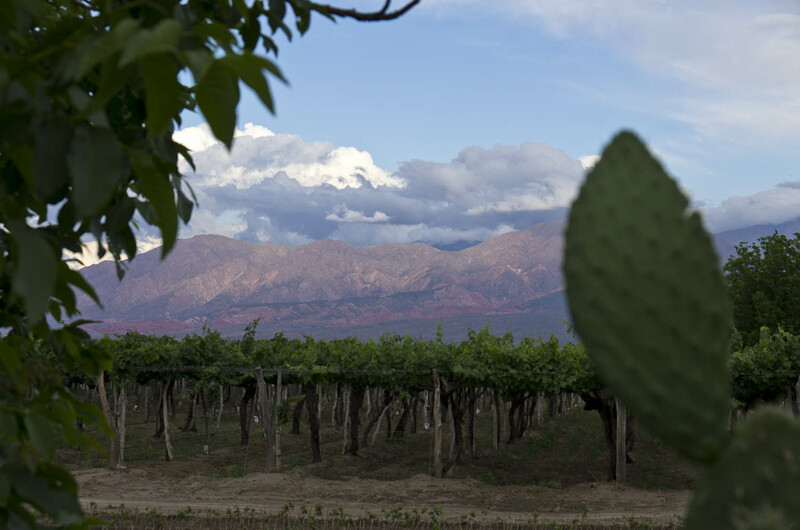 The north of Argentina is home to one of the most beautiful wine regions in the country, Cafayate and it’s shining star, the Torrontés grape. 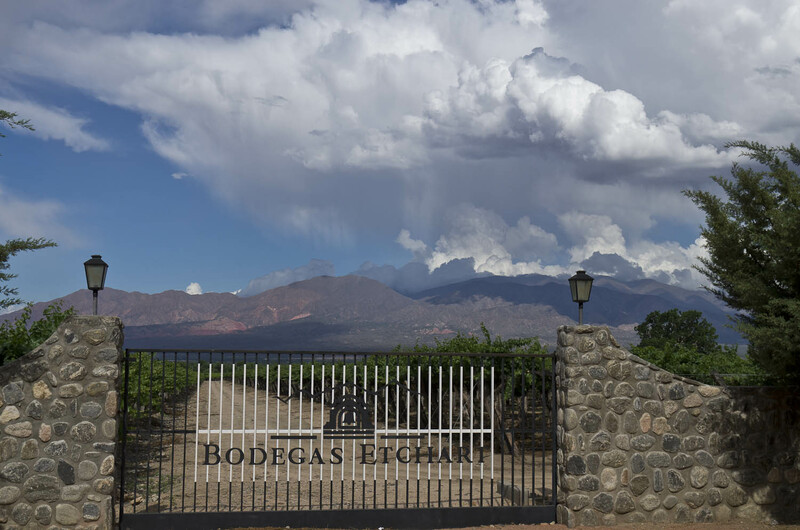 What the malbec grape has done for Mendoza, the torrontés grape does for Cafayate. Malbec grapes flourish here too (and they are delicious) but if you want something different, the one to try is certainly the Torrontés. 1. high elevation at over 5,000 feet. 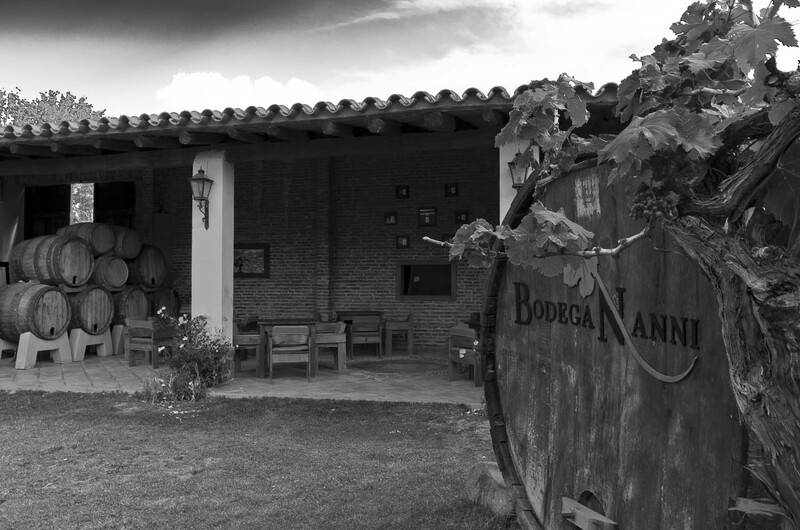 The vineyards are located in the Calchaquíes Valleys, at more than 1,700 meters above sea level. 3. a large temperature difference between the day to the night (the temperature can plummet up to 40 degrees from the daytime high to the nightime low). This is called thermal amplitude and can have a profound effect on the grapes. What exactly does this do to the grape? The extreme difference in temperature works to produce both high acid and sugar content as the grapes’ exposure to sunlight increases the ripening qualities while the sudden drop in temperature at night preserves the balance of the natural acid in the grape. 4. unique microclimate of the area. The area of Cafayate is very dry and desert-like. But it’s also located close to mountains and mountain water. This gives it what is called a microclimate (where one climate is existing in the other) and it’s ideal for grape growing. 5. the soil here is stony and sandy which gives the wines unique characteristics. Okay, so enough about how its grown. How does it actually taste?? I tell you, I am a red wine drinker. Once in a while, if I am having fish or it’s really hot outside, I will go for a white but I always prefer reds. Until I met Torrontés, that is. I had never heard of this grape before but I was leary of it, it being a white wine and all. 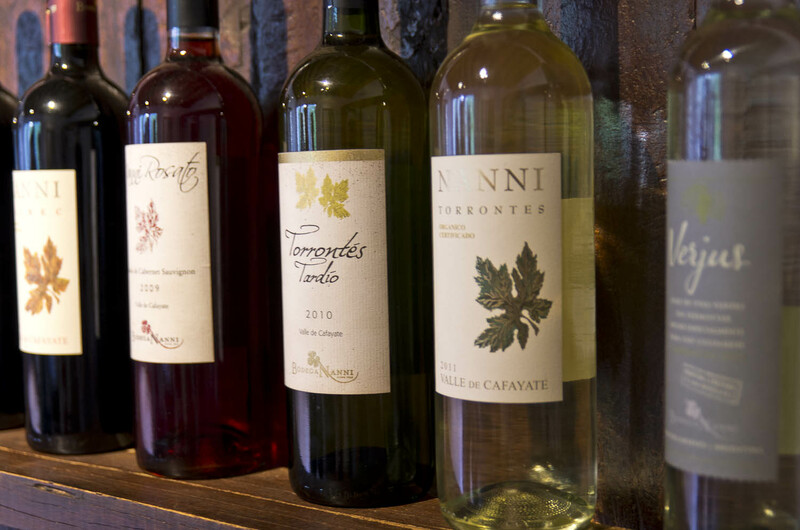 We went for our first wine tasting at Bodega Nanni which is located conveniently right in the downtown area and it’s an organic bodega as well, so that is another bonus. Torrontés is usually a light golden color and very fruity on the nose. Tropical fruits predominate like pineapple, apricot even passion fruit From just smelling the wine you might think it was going to taste very sweet but I was so surprised on the first sip which revealed a dry (but not overly so), subtly fruity and perfectly acidic wine. Delicious! I loved it almost immediately and a lot of the love I had for it was due to the aroma. The more we tried, the more I loved. But the Nanni turned out to be my favorite of all. Torrontés is versatile when pairing it with food. I had an unusual pairing with first a peach and then a strawberry ice cream (which I was very skeptical about) but proved itself as a paring worthy enough of a fine dinner party. It also goes nicely with a mild to medium cheese, walnuts, seafood and spicy foods like Indian or Thai. I would love to use it in a risotto with scallops. As if Torrontés couldn’t get any better, they make a version that is also sweet, more of an aperitif or a dessert wine. Often times I do not like dessert wines because they are sickly sweet, like syrup, but the Torrontés Tardio is not like those imbalanced imposters. The Tardio is perfectly balanced and retains all the fruity aromas of the Torrontés but with a hint of sweetness. Chilled, I could drink probably a dozen glasses on a hot day. Nanni is an organic vineyard so their wines are produced without nasty sulfites (stuff that gives you hangovers). 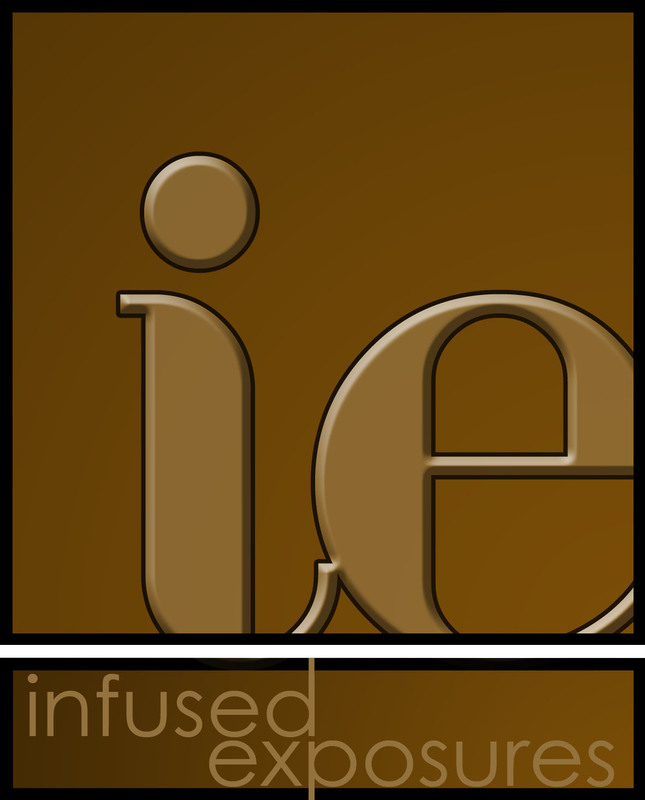 Small and family owned, they give nice tours and sampling for a reasonable price. It’s very conveniently located at Silverio Chavarria 151, Cafayate, 4427 right downtown in Cafayate. El Esteco is huge and fancy looking. You enter it from a driveway far away and driving up you feel like are entering royalty. And when you get inside you know why. El Esteco is producing some of the top names like Ciclo, Elementos and Don David. The Elementos Torrontés here is good but the Tardio is the clear winner. They made, hands down, the best Torrontés Tardio I tasted. Tastings aren’t cheap here but it’s worth it. It’s located slightly outside the village. Easy to reach by bike or car, just follow the signs. 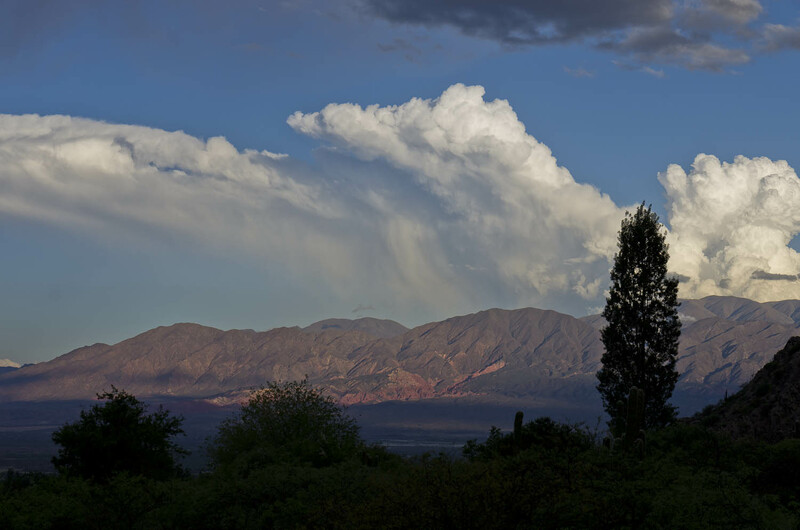 Etchart is also located just outside Cafayate but in the opposite direction as Esteco. The tastings are only given at certain times, so be sure to check exactly when before you head there. They also charge a fee for tasting not as expensive as Esteco but not as cheap as Nanni but it’s worth a visit. The Etchart Privado is one of my top wines. And if you aren’t in Argentina and you would like to try Torrontés, look for my top 3 favorites in your local wine shop. And if you are a red wine lover, like me, please try this grape anyway! I think you will be surprised. Tasting wine at Chatos. Chato is a friendly guy who loves to chat it up about wine. If you are lucky, he’ll even let you try his own batch. 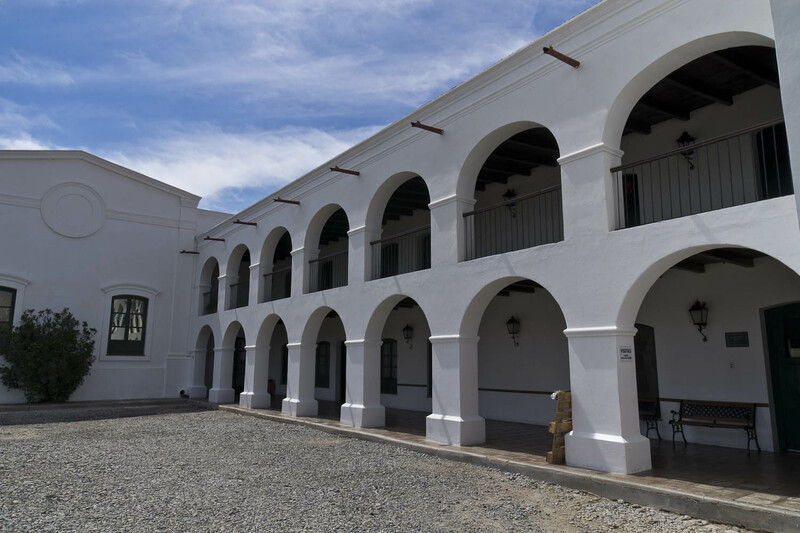 It’s a great place to stop by and drink a glass or two of something you didn’t get to try in one of the bodegas. 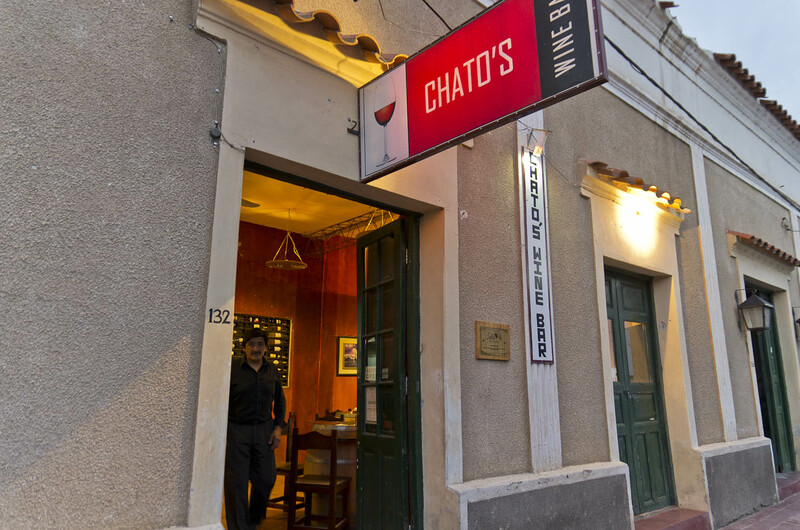 Or if you are short on time, you can visit Chatos and try a flight which will allow you to sample the best in the area. Quebrada de Cafayate. 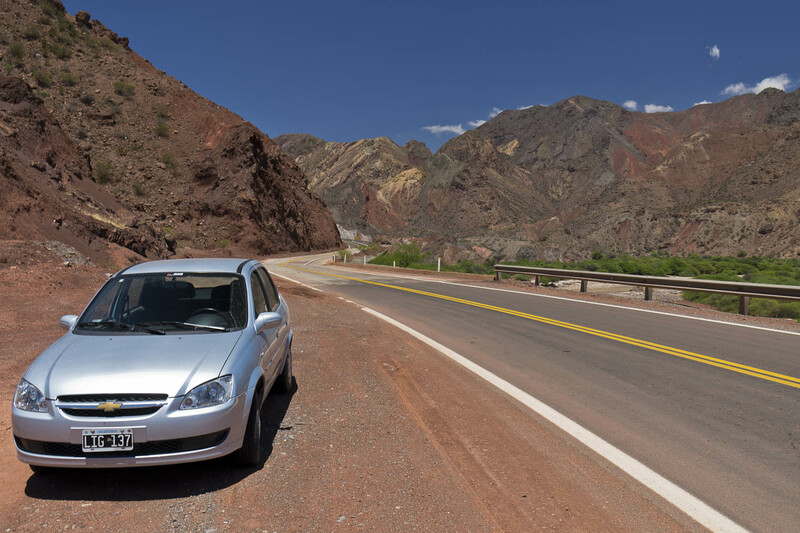 Just outside of Cafayate, heading north towards Salta on Route 68. Drive through this magnificent landscape where every color exists in the rocks and you’ll want to pull over literally every two minutes to get out and take a closer look. Hey Both of you,… How are you ??? It is Nathalie from Esquel ??? You remember .. I am coming in Cafayate on next wednesday .. It would be great if we could meet there ?? So great to hear from you!! Of course we remember you. We are currently in Ushuaia at the end of Argentina!!! So we are so far from Cafayate!! I’d love to meet up but I don’t think it’s possible. When you are in Cafayate, don’t miss Casa de Empanadas. The lady is kind of grumpy but the empanadas can’t be beat! If you need any other advice, don’t hesitate to ask. Hope we can meet again some other time. This Friday we go back to El chalten and then up north through Chile.